Nexus IP have been supplying, installing and maintaining the complete range of Avaya phones for over 30 years, starting with the SDX40 – SDX420 systems and the DT3 & DT5 phones for Avaya INDeX. The latest phones are a significant leap forward in technology, supporting wireless headsets, touchscreen functionality, and graphical menus with context-sensitive buttons. Avaya provide unified communications, contact centres, network equipment and wireless technology to businesses of all sizes across the planet. Avaya offer some of the most integrated solutions available due to their acquisition history, offering your business a true end to end approach. Get in touch to discuss your handset requirements and find out how we can help your business. Attractive and contemporary design, combining the best of past and present. The Avaya 1403 is intended for visitors and occasional users, typically utilised in part-time hotdesk areas, lobbies, kitchens and stockrooms. A digital handset for the Avaya IP Office platform. Designed to serve the need of a wide range of business users, the 1408 handset is ideal for sales staff, cubicle workers and others relatively straight forward telephone needs. A digital handset for Avaya IP Office and Avaya Aura systems. Advanced audio technology and productivity enhancing features. Designed for managers, assistants and receptionists, thanks to the 16 keys that deliver fast navigation and simplify multitasking. A digital handset for Avaya IP Office and Avaya Aura systems. Designed for casual use in areas such as lobbies and stockrooms. This handset has the option of a 10/100 Ethernet port in the 1603 SW model for a co-located PC or laptop. 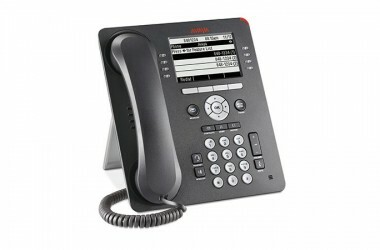 An IP handset for Avaya IP Office and Avaya Aura systems. Providing the frequently used features at an attractive price, the 1608 is intended for frequent users with basic communications needs. Includes a 10/100 Ethernet port and headset port. An IP handset for Avaya IP Office and Avaya Aura systems. The 1616 is similar to the 1608, increasing the button count from 8 to 16. Ideal for multitaskers and for those who monitor other lines as well as their own. Includes a 10/100 Ethernet port and headset port. An IP handset for Avaya IP Office and Avaya Aura systems. With an intelligently designed interface and crystal clear sound, the 9404 is intended for everyday users. It features 12 administrable feature buttons, wired and wireless headset support, a context-sensitive interface, and 4 line display. A digital handset for the Avaya Aura system. Advanced telephony presented on an 8 line display, ideal for heavy phone users who need a greater level of deskphone interaction. The 9408 comes with the same wired and wireless headset support and 4-way navigation pad as the 9404. A digital handset for the Avaya Aura system. The best replacement for the hugely popular 5410. The 9504 is a 4 line display handset with context-sensitive menu, 12 administrable feature buttons, and wired & wireless headset support. A digital handset for the Avaya IP Office platform. 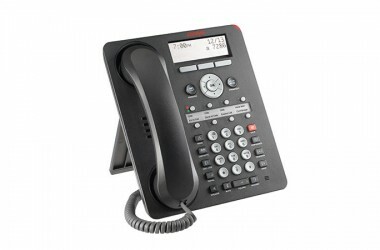 The Avaya 9508 handset features a large 8 line display and 24 feature buttons; indispensable for managers and executives who rely on their deskphone. Headset support and expandable modules available. A digital handset for the Avaya IP Office platform. 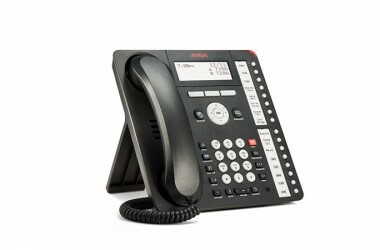 Intended for the everyday user as well as the common building areas such as lobbies and lunchrooms; the Avaya 9601 is a SIP deskphone with advanced, integrated connectivity and energy saving capabilities. An IP handset for the Avaya Aura platform. High performance with a traditional look and feel, the Avaya 9611G features a 3.5 inch graphical colour display, Gigabit Ethernet and support for additional key modules. 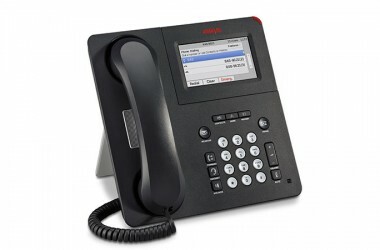 An IP handset for Avaya IP Office and Avaya Aura systems. Delivering Gigabit Ethernet capability, Microsoft Outlook contact integration and touchscreen capability on a 4.3 inch colour display to enrich communications and enhance productivity. 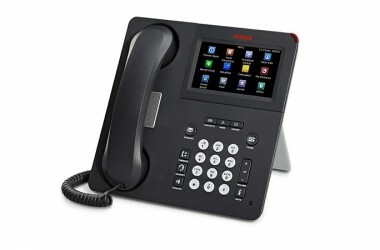 An IP handset for Avaya IP Office and Avaya Aura systems. This handset delivers advanced features through a five inch colour touchscreen. Designed for knowledge workers and contact centre agents with specific software for queue monitoring and agent status updates. An IP handset for Avaya IP Office and Avaya Aura systems. Avaya’s powerhouse handset from their flagship of IP deskphones; the 9650 is for high call volume positions, such as receptionists and contact centre agents. Features include one touch access to feature keys and bridges. 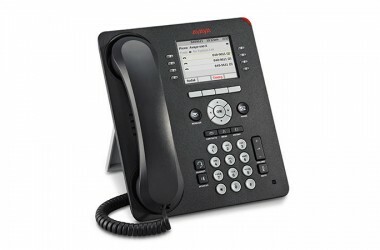 An IP handset for Avaya IP Office and Avaya Aura systems. Looking for systems? Click here.